Many people know Tibet, but only few people know that there are still many Tibetan Chinese also stay in many other areas beyond Tibet in China. The altitude of these rarely visited remote areas is not as high as Tibet, but the sceneries are the same breathtaking. It is far more easily accessible than Tibet. 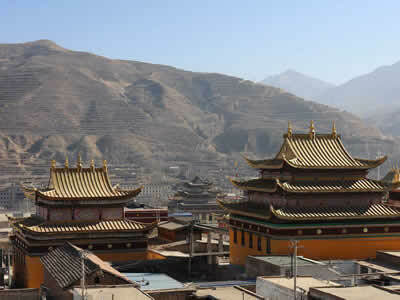 Foreign tourists do not need to apply for the Tibet Tour Permit in advance. You also do not need to tap your physical potentials to enjoy the scenic masterpieces and splendid culture at the high altitude area. 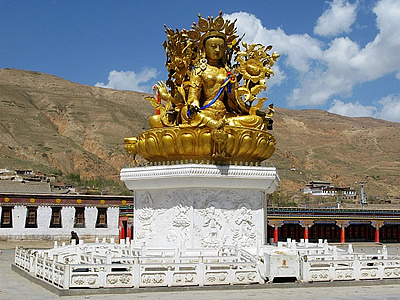 In this itinerary, tourists would visit Labrang, the most important religious center of Gansu and Sichuan Provinces for the Tibetan Chinese stayed there, Taer Temple, the most important religious center of Qinghai Province, Ganjia Prairie, a Shangbala (wonderland in Tibetan legend) like area near Labrang, Qinghai Lake, the biggest lake in China, and many other sites well worth a visit. You can also enjoy the Tangka art (As the UNESCO Intangible Cultural Heritage, Tangka is the one kind of Tibetan Buddhist painting) at Tongren County in Qinghai Provine. 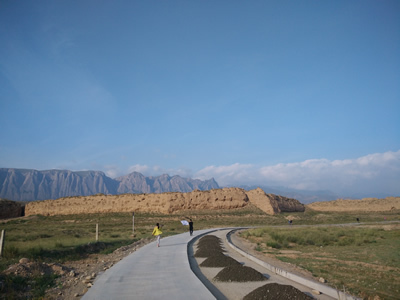 Labrang Monastery, Ganjia Prairie (include Saint White Rock Cliffs Cave, White Rock Cliffs Monastery, Octagonal City Ruins). Many of the chapel halls in the temple are illuminated in a yellow glow by yak-butter lamps, their strong-smelling fuel scooped out from voluminous tubs. Although Tibet is not on your itinerary this time, the monastery sufficiently conveys the mystique of its devout persuasions, leaving indelible impressions of a deeply sacred domain. 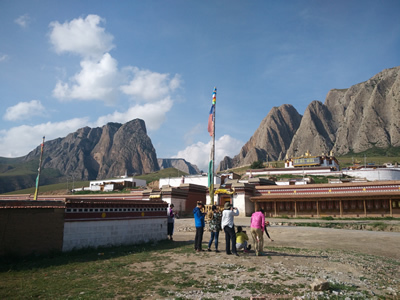 In addition to the chapels, residences, golden-roofed temple halls and living quarters for the monks, Labrang is also home to six tratsang (monastic colleges or institutes), exploring esoteric Buddhism, theology, medicine, astrology and law. On your arrival in Lanzhou city for your exciting journey, you will be met at the airport or train station by your personal guide, who will take care of you during this journey. If you need any advice, tips or help please just ask your guide. After lunch, drive south for around 240 km/4 hours to Xiahe County at 2900m altitude. On the way, in Huzuo, the capital of Gannan Tibetan Autonomous Prefecture, Gansu Province, to visit the famous Milariba Buddha Tower. The Milarepa place itself is a very unique structure with 9 stories. Each floor is like a separate temple with Buddha figurines, Thangkas, precious stones, urns etc etc. It is dark and calm (and calming) as only the inner sanctum of a Tibetan Buddhist place of workship can be. 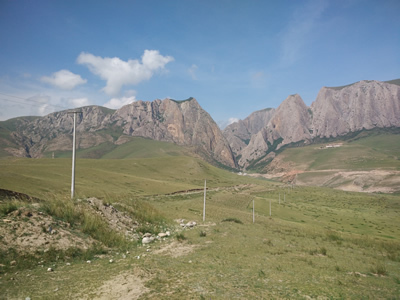 In the morning, drive west for around 120km / 3 hours from Xiahe County town, cross the border between Gansu Province and Qinghai Province, to Longwu Town at 2500 m altitude. 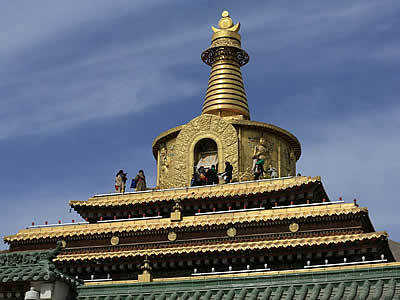 You will visit the famous Longwu Monastery in the town. 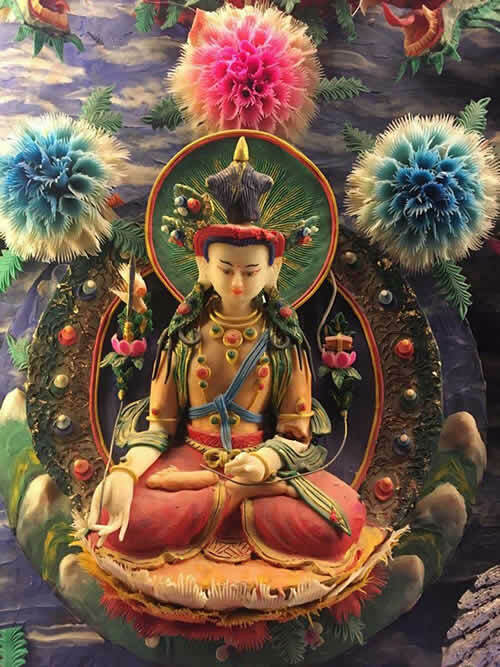 Here is the land of Regong Art, UNESCO Intangible Cultural Heritage, including paintings (murals and scrolls called "Thangka" in Tibetan) clay and wooden sculptures, barbola, color paintings on buildings, patterns, butter sculptures, and so on. Among these, the paintings, sculptures and designs are most famous. 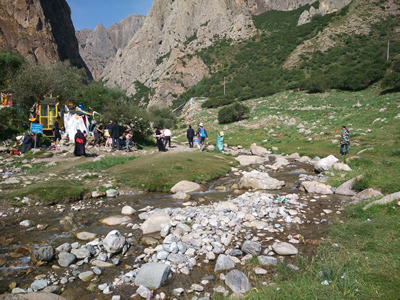 This area is also the birthplace of Regong Art which is a successful mixture of religious arts and local folk arts by the local Tibetan and local Tu ethnic minorities. It is the birthplace of Anduo Tibetan Plays which is presented at many local festivals. Named after Longwo River upon which the monastery was built, Longwu Monastery is situated at the southwestern end of Longwu town, about 180km away from Xining, capital of Qinghai. 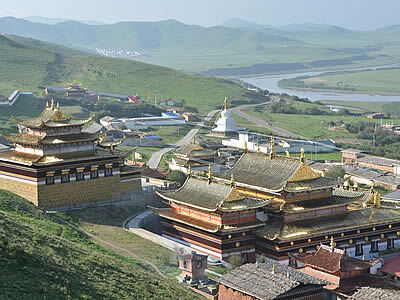 As one of the oldest and largest Gelupa monasteries in the world, the Longmu Monastery was initially established in 1301. In the morning, Visit Wutun Monastery which is around 7 km to Longwu Town to enjoy the master pieces of famous Regong Art. After lunch, drive to Xining city at 2280m altitude, the capital of Qinghai Province (around 180km/3 hours). Overnight in Xining city tonight.